Johanna Hurwitz - Welcome to my website! 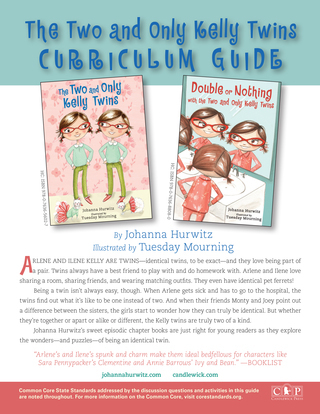 Check out the CCSS-aligned curriculum guide for my books featuring Arlene and Ilene Kelly! I'm so glad you’ve come for a visit. I love writing children’s books and I especially love meeting kids and librarians and teachers who enjoy reading them. You can read my official bio below. Have you written your biography? Try it! It’s fun. 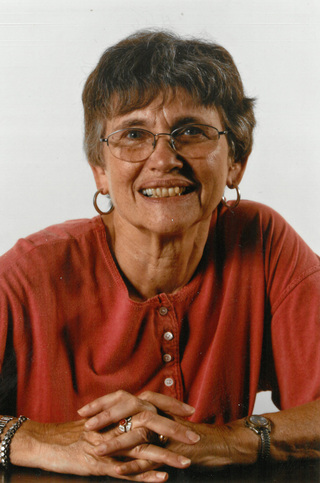 Johanna Hurwitz is a former children’s librarian and the award-winning author of more than seventy books for children, including The Two and Only Kelly Twins and four books about Arlene and Ilene’s friend Monty, who lives on their street. Ms. Hurwitz divides her time between Great Neck, New York, and Wilmington, Vermont. My mother and father met in a book store and there doesn't seem to have been a moment when books were not important in my life. My parents read aloud to me every day. Before I could read I sat with my dolls, holding a book, and pretended to read to them. I could hardly wait to learn how to really do it. Soon after I mastered reading, I began to write too. I made up stories and told them to my younger brother. Once I even got a classmate to agree to illustrate one of my early stories. That was my first 'book' and I was somewhere between eight or nine years old at the time. I dreamed of writing children's books so that others besides my brother could read my stories. 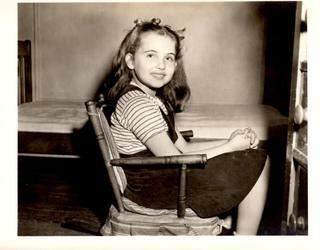 Still, I was a married woman of 38, with children of my own, before my first published book came out. That book is Busybody Nora. It is about my family when we lived in an apartment building in New York City. In time, I wrote 14 books about Nora and her younger brother Teddy and their neighbors Russell and Elisa. These books came to be called The Riverside Kids. My husband said he was so pleased to have the history of our family recorded so we wouldn’t forget all that had happened. I had to point out to him that most of the things I write are quite different from the actual events. Our son never got stuck in the apartment elevator, our daughter never went to sleep in her street clothes on the night of a major power failure and I never prepared stone soup for our supper. These stories about Nora and the other children are fiction, but the basic setting is true. And the events I wrote about could have taken place. I hope my readers, like my husband, believe they really did. I grew up in New York City, living in the Bronx and then Queens. We had loads of books at home but nevertheless I visited the public library two or three times a week. The children's librarian formed a club for young girls and we met weekly. I shared some of my early stories at meetings of the Melrose Bookworms and I began to dream of the day when one of my stories would be in a book. Imagine a book with my name on it sitting on the library shelf! However, in none of the books that I ever read did the characters live in New York. I read The Little House books by Laura Ingalls Wilder, The Betsy-Tacy books by Maud Hart Lovelace, Anne of Green Gables, Heidi, and hundreds of other titles. It seemed to me that a book had to be set far away in order to be interesting. Unfortunately, I’d never been anywhere. How could I be a writer? So I sent to the Chamber of Commerce of every state and kept a huge box under my bed filled with the travel brochures that I received in the mail. I thought I could study them and then write about such exotic places as Minnesota or South Dakota. It took me a long time to realize that I could write about New York City! In time, I graduated from Queens College and got a Master’s Degree in Library Science from Columbia University. I worked as a children’s librarian at the New York Public Library and in a couple of elementary schools; I married and had children of my own. And then one day, I sat down and wrote a story about my children. Of course I changed their names. I would never want to embarrass them. That one story led to another and another. Now I am a grandmother and I often get ideas from observing the new members of my family. I wake up each morning with my head filled with stories and I am eager to begin writing. Sometimes ideas come to me in my dreams and so I keep a notebook and pencil by my bed and write them down in the dark. The writing is shaky but at least I haven't forgotten what was in my mind in the middle of the night. And always will be quite a thrill. A boy when he rides his new two wheel bike. It's natural for her to sing. Books of fiction and of mystery. And then I'll write books of my own. I'm interviewed here with School Library Journal for their Be Tween newsletter!